Ford F-150 wins North American Truck of the Year! We can’t say enough about the amazing new Ford F-150…and neither can leaders in the auto industry! Here’s what Autoweek.com had to say about the innovative new truck. 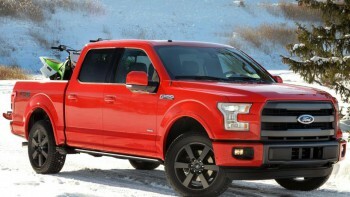 “Ford’s aluminum F-150 won the North American Truck of the Year award at the Detroit auto show on Monday. The independent jury includes 57 U.S. and Canadian auto writers and editors. The F-150 beat out the new Chevy Colorado and the Lincoln MKC crossover. Ford received 297 votes, Chevy got 205 and the Lincoln garnered 68.